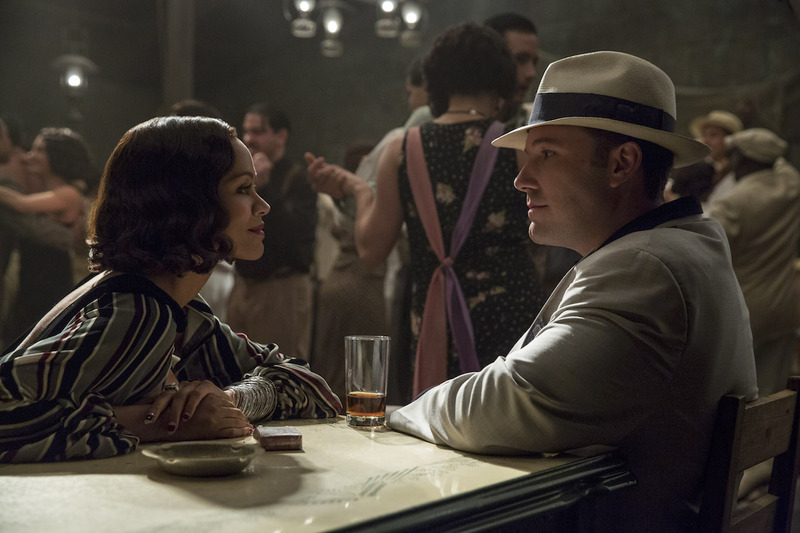 Ben Affleck has wonderfully directed and starred in a glitzy interpretation of the dangerous world of the prohibition era organized crime. He takes on the role of Joe Coughlin a broken man with something to prove and nothing to lose. Son of a Police Captain and WWI veteran Joe walks the line of the law just to be free to do as he pleases and never be told what to do ever again. Careless actions send him down a road of pain but Joe is a glutton for punishment. The typical Affleck stoic acting is prevalent but this actually fits his character like the suits he wears throughout the film. Once again Affleck plays the anti-hero even with all his brutality you still root for him and hope deep down he's a good man. The cinematography is seamlessly beautiful making the rush of the roaring 20's seem shiny and new even the carnage was ballet like but unfortunately over powers the lack of grit of the real violent desperation of the great depression. It does unflinchingly highlight how deeply rooted racism and xenophobia is in America. how people were harassed by domestic terrorism and in the bootlegging game life can be cheap. The wardrobe, cars, and locations were impeccable almost dreamlike. This is a true ensemble cast with A-listers like Brendan Gleeson, Chris Messina, Elle Fanning, Zoe Saldana, and Sienna Miller. A saving grace from the darkness of the film was the comedic relief of Chris Messina of TV's "The Mindy Project" playing Dion Bartolo, his partner in crime. His father is played by the brilliant Brendan Gleeson. The real supporting roles though were the ladies. 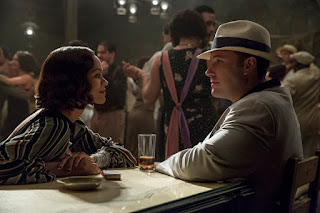 Zoe Saldana embodied Graciela a strong Cuban woman, Elle Fanning was raw as the broken angel Loretta Figgis, and Sienna Miller scorched the screen as the mob moll Emma Gould. The relationships between Joe and others are pinnacle to this film they guide him as he always tries to do the right thing but it never works out that way. This heartbreaking story shows how little control you have on our own lives and how much effect we have on others’ lives. If Affleck was a bit more believable as a son of an Irish immigrant then I would like this so much better but I guess the ride is better than the destination for this film but it is still worth the ticket.